Full smiles are immediate symbols of happiness. A complete smile lets other people know that you are a friendly and warm. If you smile less due to missing teeth, are concerned about your smile’s appearance, or want to improve your smile for dental health reasons, dental implants may be the answer you’re looking for. Luckily, getting a dental implant in Singapore is relatively easy. Implants fuse to your jawbone, proving a support for the new artificial teeth. 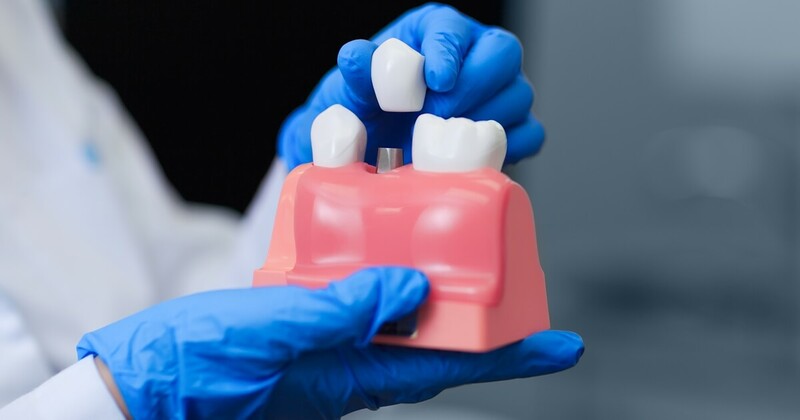 For full-teeth replacement, special types of dentures and bridges can also be mounted on the implants, preventing teeth from shifting in your mouth. When placing implants in a mouth, no adjacent teeth are impacted. They do not need to be ground down to hold the new teeth in position. In dental clinics in Singapore, most implant roots are crafted from titanium, which is very durable. The visible portion of the implant, known as the crown, is made to look like one of your natural teeth, matching shape and colour. These implants are designed to work just like natural teeth would. In order to receive implants, you must have enough bone to support implantation as well as healthy gums. Additionally, you should be committed to keeping the implant structure healthy and clean. Daily brushing, flossing and rinsing with antibacterial mouthwash is recommended. Routine dental visits and meticulous oral hygiene are key in the long-term success of a patient’s implants. If you are not sure if implants are the right option for you please contact an aesthetic dental clinic in Singapore. The dental professionals at Orchard Scotts Dental can answer any questions you may have. Contact us and receive the answers to all of your implant questions. We’d be glad to help. At Orchard Scotts Dental, we use Straumann Dental Implantation Systems. Based in Switzerland, Straumann is considered the top tier in the implant field. In fact, Straumann’s high-quality implant production has been going on for more than thirty years in over seventy countries. A stand-out feature of Straumann products is the patented SLAactive technology. SLAactive cuts treatment down from six months to three, by increasing treatment predictability and decreasing healing times. Straumann also uses Roxolid technology, a system using harder materials than competitors, which allows for slimmer implants. A slimmer implant means a reduction in the necessary bone grafting. Additionally, Straumann manufactures PURE Ceramic Implants of a non-metallic (ceramic) material which is natural ivory-coloured. These are a great option for patients with recessed or thin gums who don’t want metallic implants showing. There are actually many different ways to repair the problem of missing teeth. Dental implantation is one of the best options due to a variety of factors. Unlike dentures, Implants don’t inflame or irritate gums. Implants stop jaw shrinkage and progressive loss of bone associated with missing teeth by creating a surface for bone attachment. Implants can improve speech by reducing speech-based obstacles that often occurs with dentures. Implants don’t have denture clasps or hooks, which can cause bad breath. That hardware also puts pressure on remaining teeth and can lead to further damage. Implants replace missing teeth with synthetic teeth that look natural. Implants do not require adjacent teeth to be altered or ground down. As technology, medicine and health sciences progress, more and more people are living longer. While this may be an excellent development for humankind, troubles abound in regards to the relationship between longevity and dental health. One of the most common oral conditions among older people is tooth loss, according to an article in the Singapore Dental Journal (SDJ). Tooth loss can not only have a negative impact on old people’s oral health but also on their quality of life. This tooth loss epidemic is especially bad in Singapore. A 2016 study reported by The Straits Times found that of nearly 5,000 Singaporeans over 60 years of age, three in 10 people have no teeth at all, a condition called edentulism. Singapore’s 30% is much higher than other developed countries which average between 17%-20%, according to the same report. Total tooth loss is a real problem for the aging populations in Singapore. However, dental clinics also see other forms of tooth loss, such as loss which happens gradually one by one, due to poor dental hygiene or by accident. According to the SDJ article, incremental tooth loss can actually be a bigger problem if left untreated, due to the drifting of adjacent teeth or opposing unit over-eruption. These by-products of tooth loss can significantly impede later dental rehabilitation. No matter how the teeth are lost, dental implants can help. In the case of a few missing teeth, the implants can halt teeth drifting, preventing the need for extensive rehabilitation later on. In the case of edentulism (no natural teeth), implants may be a way to give back the entire smile that was lost. When considering dental implants, you want to know that your smile is in good hands. Each year, many successful smile makeover procedures that include teeth straightening with Invisalign, dental implants and porcelain veneers are performed by Dr. Yap and Dr. Lim at Orchard Scotts Dental. In fact, Straumann has recognized Orchard Scotts Dental as a Premium Partner for their work. Further success led to Dr. Lim being named a Straumann Key Opinion Leader (KOL) due to his experience and expertise in the dental implantation field. Additionally, we use 3D X-ray technology. This new dentistry technology aids the professionals at Orchard Scotts Dental in performing guided surgery, resulting in more accurate results due to precision implant placement. The 3D X-ray technology also significantly decreases any chance of incorrect angle implant installation. Our advanced technology provides patients with the smile makeover they want and the peace of mind they need. If you’re thinking about getting implants, make sure you’re choosing a dental clinic with documented success and cutting-edge technologies. Start your journey towards a smile makeover and contact Orchard Scotts Dental today.